This pasta is a slightly different, spiced up version of a dish that Giada De Laurentiis makes. 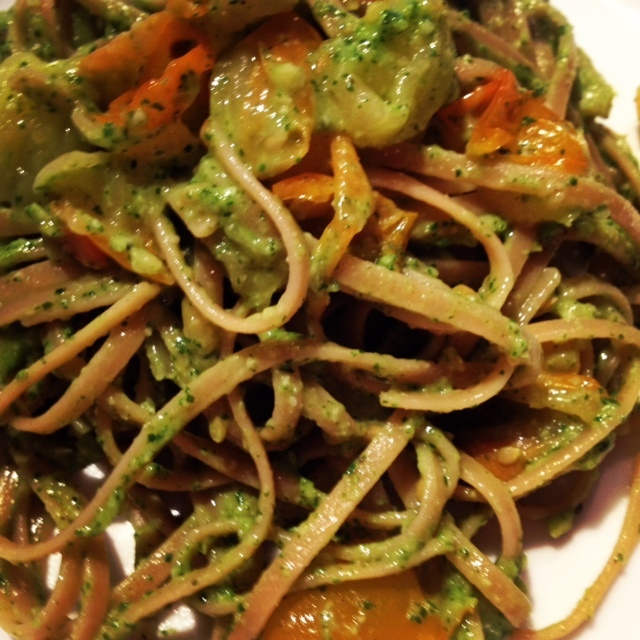 I made a similar pesto in this dish using most of the same ingredients (just some slight adjustments) but also added in some bright veggies that compliment the creaminess and zest of the pesto. 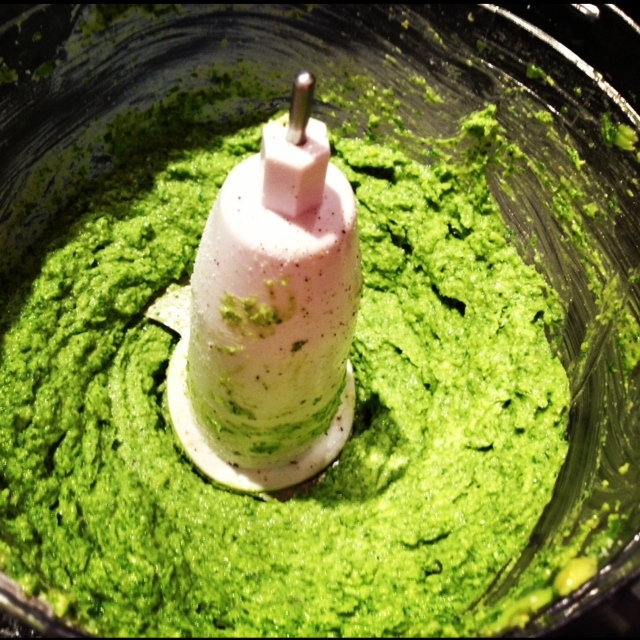 It’s not as heavy as traditional pesto and makes a great springtime meal! 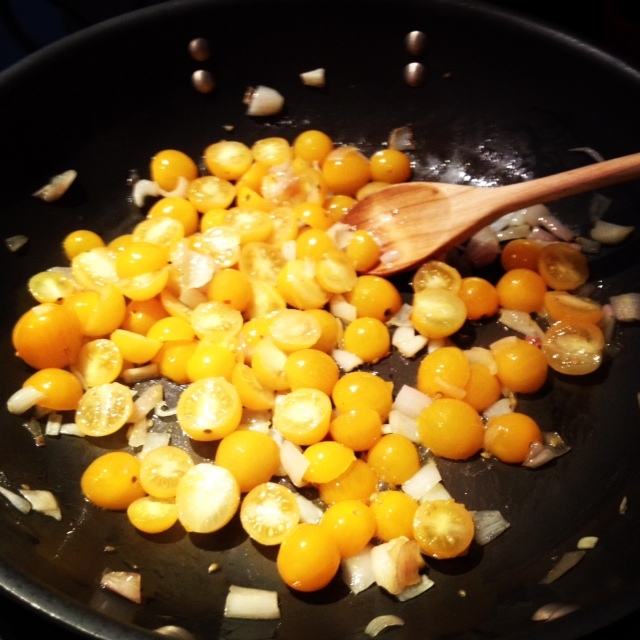 Begin by heating 1 tbsp of olive oil on medium heat and add the shallots and cherry tomatoes. Cook for about 15 minutes. Boil water in a large pot to cook the pasta. 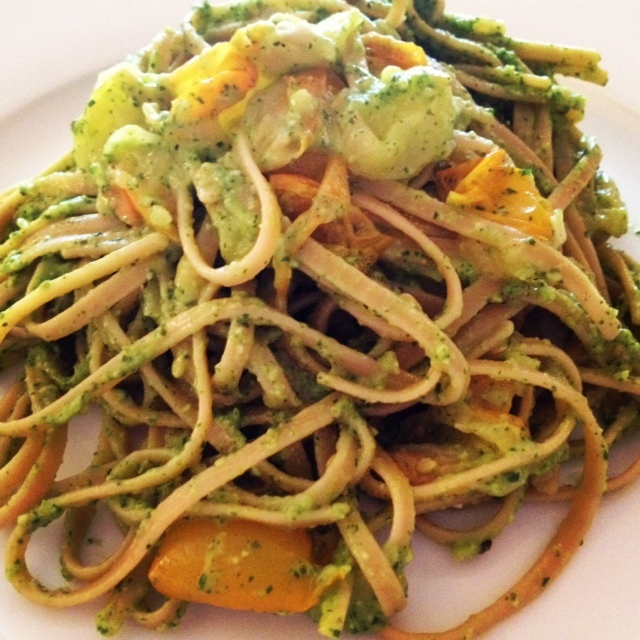 While the pasta is cooking you can make the pesto. 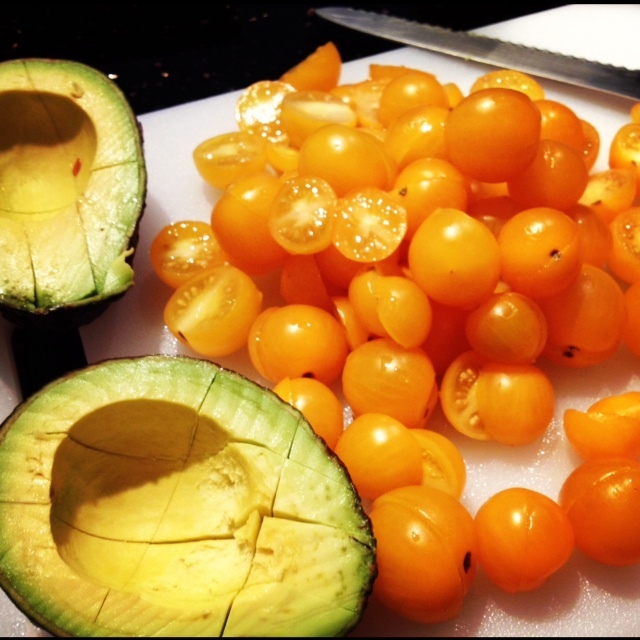 In the blender, add the avocado, basil, arugula, slivered almonds, lime juice, Parmesan cheese, 1 tbsp olive oil and garlic salt/black pepper and blend until smooth. After the pasta has cooked, drain all excess water and add the pasta back into the pot. 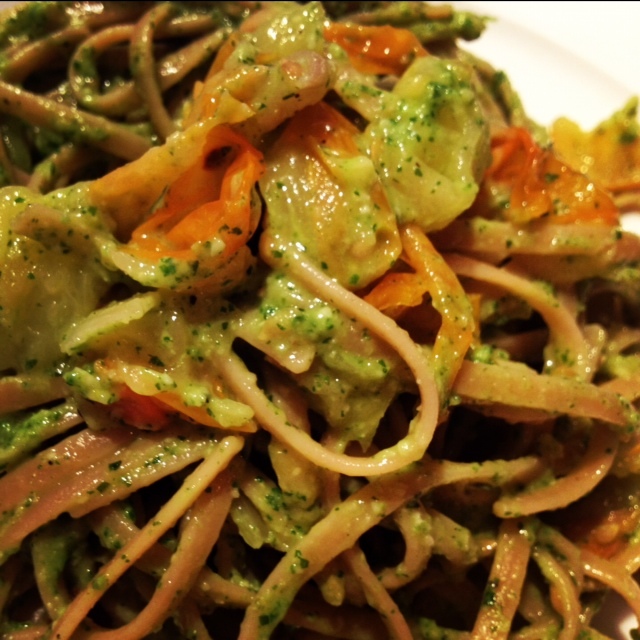 Then add in the pesto and tomato mixture and toss thoroughly to combine all the ingredients.